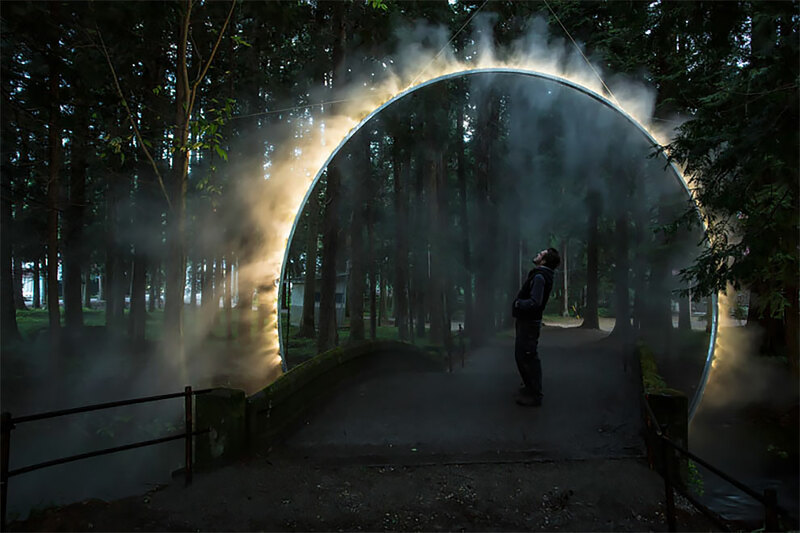 A Sculptural Arch Of Mist Has Been Installed In Japan #ArtTuesday « Adafruit Industries – Makers, hackers, artists, designers and engineers! 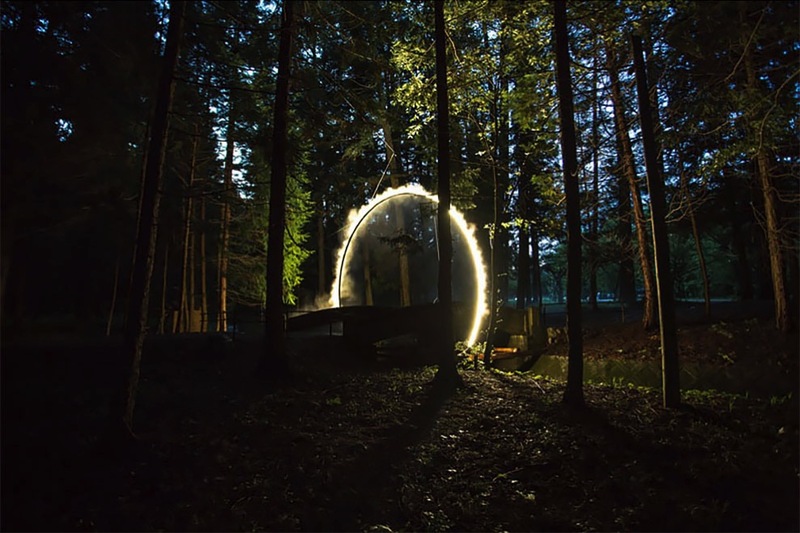 Australian artist James Tapscott was commissioned by the Japan Alps Art Festival to great a site-specific art piece, which he named “ARC ZERO – NIMBUS”. The art piece is a ring of mist that sits at the entrance to Hotokizaki Kanon-ji, a local Buddhist Temple, and encircles a bridge that crosses a small river. Arc ZERO from James Tapscott on Vimeo.